Sometimes we are using those mobile phones which can not received MMS (Multimedia Message Service), due to the MMS settings are not installed in our phones or our phones have not the capability to receive an MMS or connect with internet. So Telenor sends a SMS at this type of mobile phones instead of MMS. 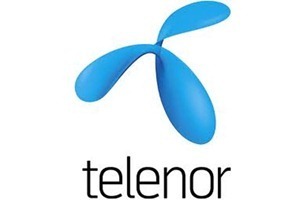 Telenor MMS Retriever is a computer software wich allows you to retrieve your MMS by 17 digits pin code. You may retrieve your MMS message with the help of this software without opening your browser. Telenor MMS Retriever helps you to safely download and save your MMS Photos in your Computer. 923yyxxxxxxx sent you a MMS .You may pick it up from: http://www.mmstelenor.com.pk/mms.action?s=m&pincode=xxxxxxxxxxxxxxxxx or visit webpage http://www.mmstelenor.com.pk and enter pincode = xxxxxxxxxxxxxxxxx.To retrieve MMS directly on your handset.please download your MMS settings by sending SMS to 131 with keyword MMS.